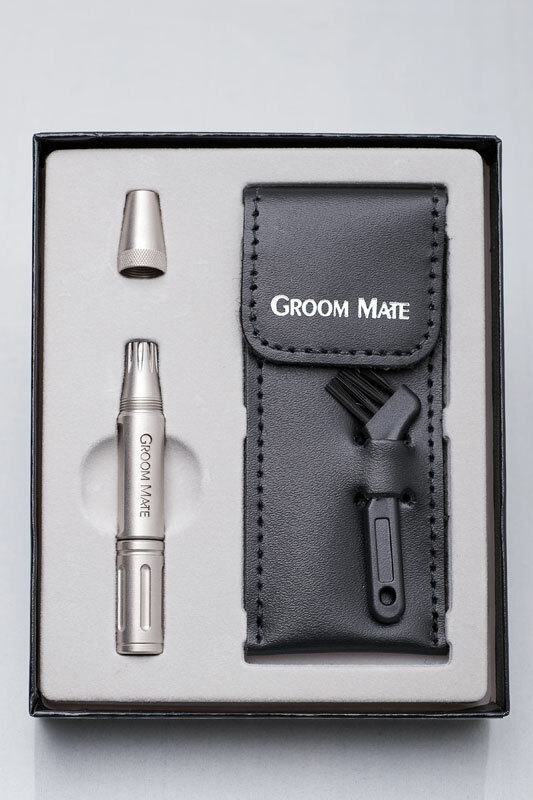 The Groom Mate Platinum XL Professional Nasal & Ear Hair Trimmer offers the most comfortable, gentle means of trimming both nose and ear hair. 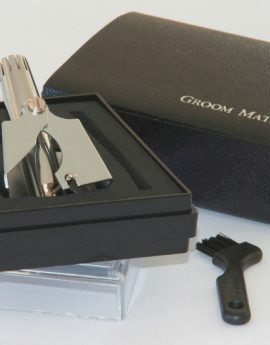 The Platinum XL Professional trimmer is made from solid stainless steel and requires no batteries. 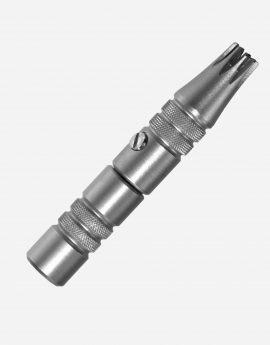 You simply insert the rotary blade end of the trimmer into your nostril and gently twist the barrel in a back and forth motion. 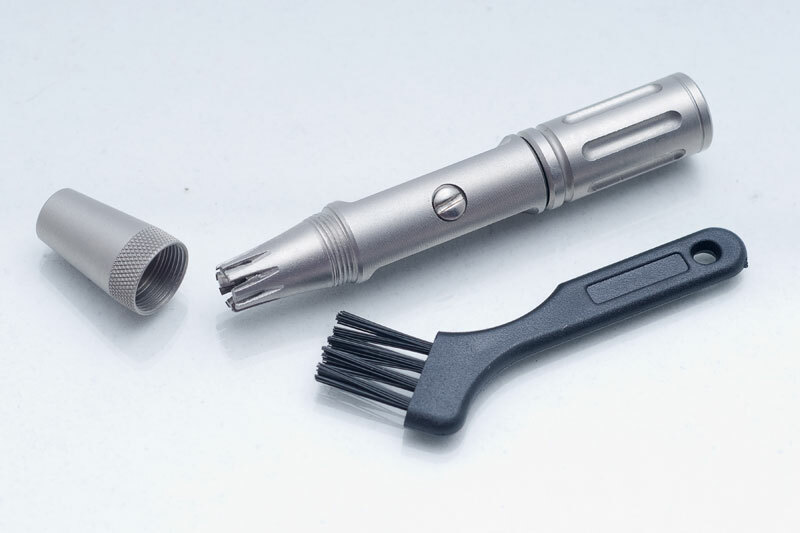 There is never any yanking or pulling of nose hairs, or loud noise or tickling (like the battery-operated models)…just gentle, safe trimming. 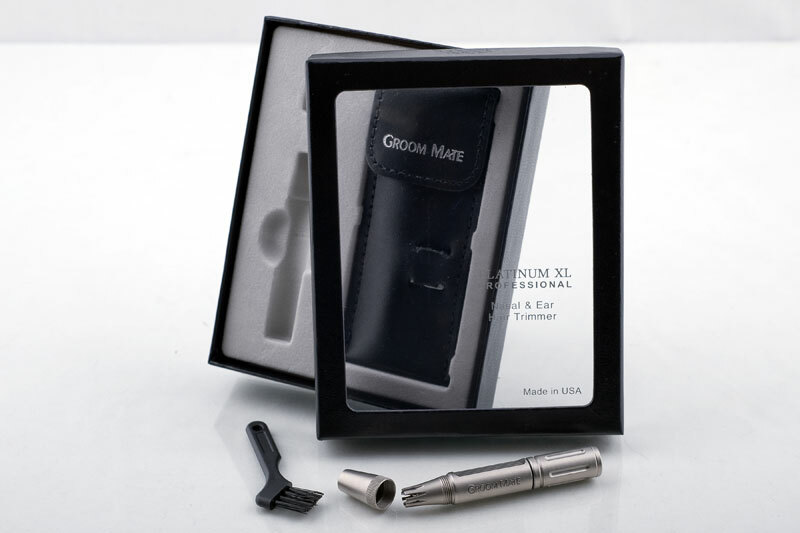 All Groom Mate brand of nasal hair trimmers are manufactured in the USA and are ECO friendly and are built to last forever. 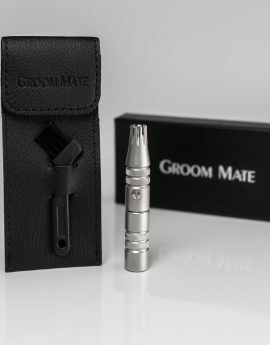 Our latest and finest Groom Mate trimmer also includes a genuine leather pouch and beautiful gift / storage box. 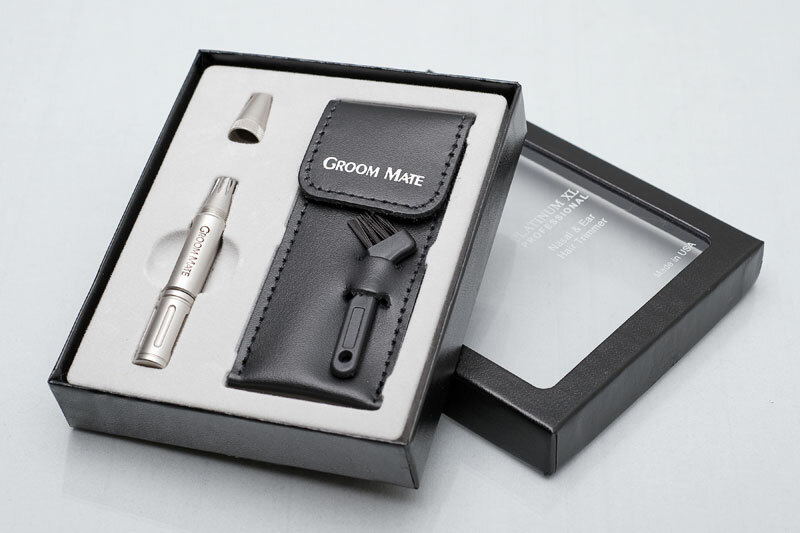 And all made in America.